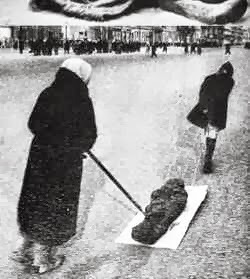 Thanks so much to Clay, my friend and fellow Bronze Horseman fan, for telling me about this informational page about the Siege of Leningrad. It's a really compelling read. "Dogs and cats were hunted for food and stories emerged of cannibalism - freshly buried bodies were, according to some, dug up in the night."